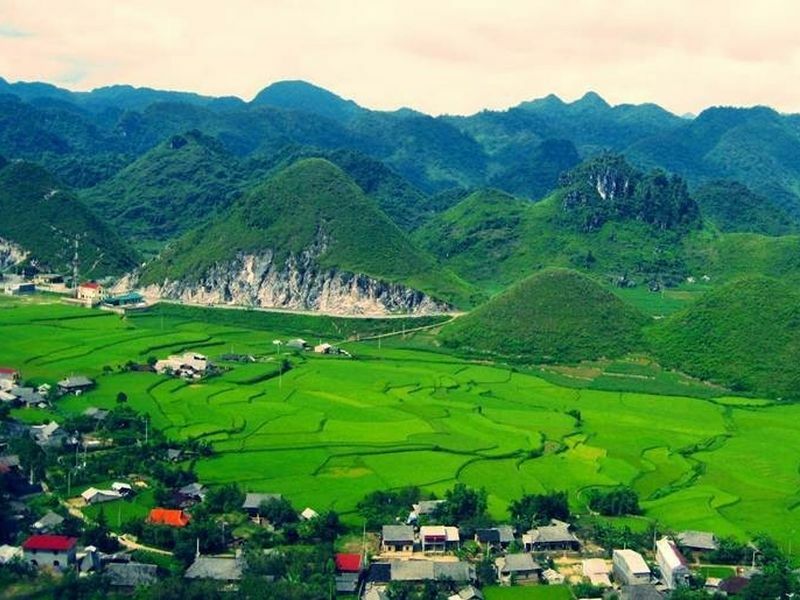 When talking about Ha Giang travel, people often think immediately about the location where has a majestic rocky plateau with rolling mountains. And coming to Ha Giang city, you can not miss Quan Ba Heaven Gate, where you can estimate touch the sky. Quan Ba Heaven Gate is distant from Ha Giang about 46 km to the North, it is also the first gateway into Dong Van Plateau. 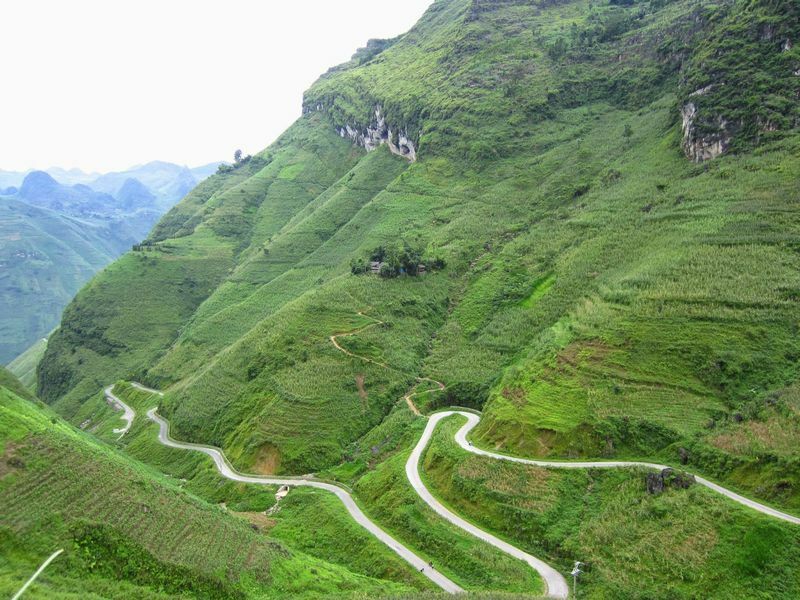 The Heaven Gate is located on the highest point of the pass from Ha Giang to Quan Ba. After the gate is "the Cat people's autonomous lands" consists of 4 districts Quan Ba, Dong Van, Meo Vac, and Yen Minh. In 1939, the French build a huge wooden door (150 cm thick) in right here, today the door disappeared, instead is the inscription plaque in both Vietnamese and English: Quan Ba Heaven Gate. If you want to come up the haven gate, you must pass through the dangerous road with a side of escarpments, another side of the cliff. The main heaven gate is also the beginning of “Happiness road”. The higher you go, the more majestic and beautiful you will see. 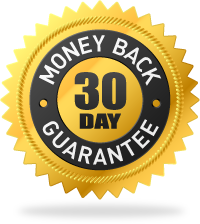 If you want to admire the heaven gate, you have to add a few dozen more steps on the road to the top of the gate. This is considered an ideal location to be able to see the fullest scenery of Dong Van Plateau. In the front is a large valley with rolling fields, with the yellow color of rice, the brown color of the ground, also the roof of the ethnic’s village. 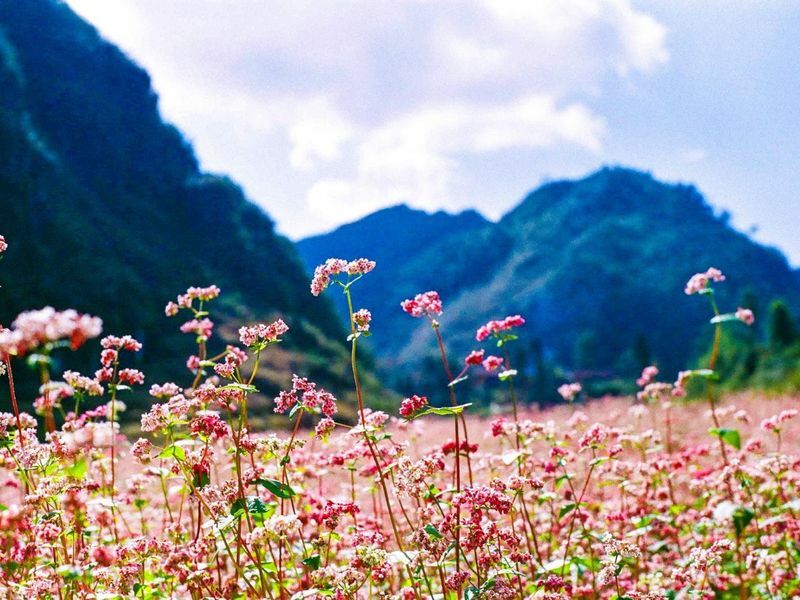 The highlight of the scenery is Quan Ba Twin Mountain (also known as “Co Tien mountain”). 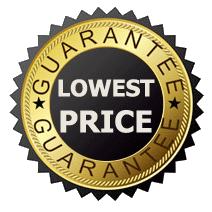 You have the chance to enjoy the art of nature offer to this destination. Between the rocky and terraces is the mountains with a strange form which will make you flabbergast. That's two mountain looks like the peach fruit which are related to a very interesting “Co Tien Mountain” fairy. Passing through heaven gate, you officially set foot on the rock plateau, where many scientists in the world say that it is still too many unknowns. From here, when you hike about a day, you'll set foot to Lung Cu flag pole - the northernmost point of the country, Dong van Plateau, Meo King’s palace... You can continue the journey to conquer with many exciting experiences. Cool temperatures, spectacular nature, behind the Quan Ba Heaven Gate is an incredible peace, life is very peaceful, people live harmoniously with nature, all make this place become the legendary land. 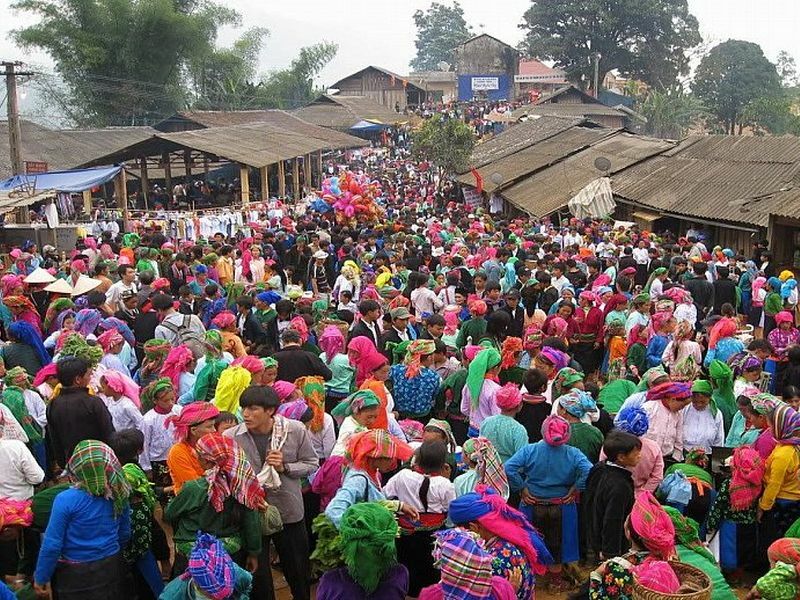 The Quan Ba Heaven Gate, the name at first listening is very attractive, urging you to come to Ha Giang to find "the cloud road to go to the heaven gate". 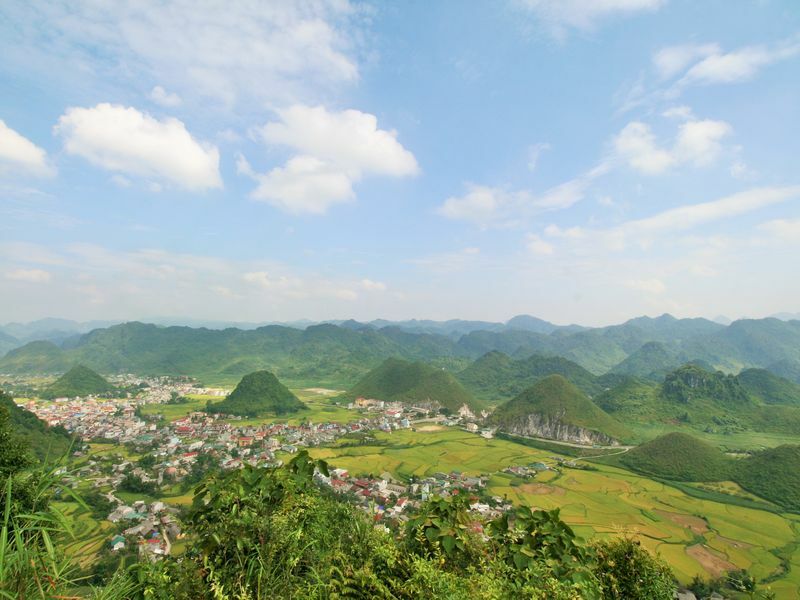 Quan Ba Heaven Gate and Quan Ba Twin Mountain are two destinations to discover and experience when traveling in Ha Giang rocky plateau. Certainly, with the wild forest, the beauty of the mountain and fresh air will bring to you wonderful moments and the most comfortable.